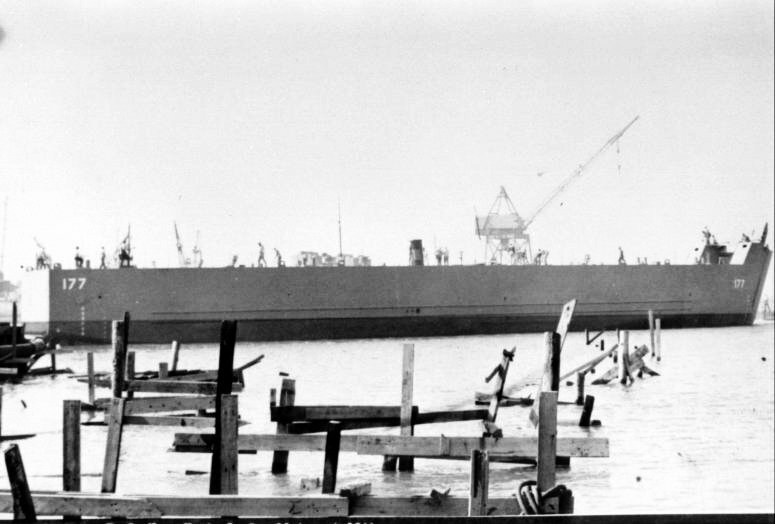 Laid down, 20 July 1944, at Charleston Navy Yard, Charleston, S.C.
54k LSM-177 at Charleston Navy Yard after being launched, 12 August 1944. 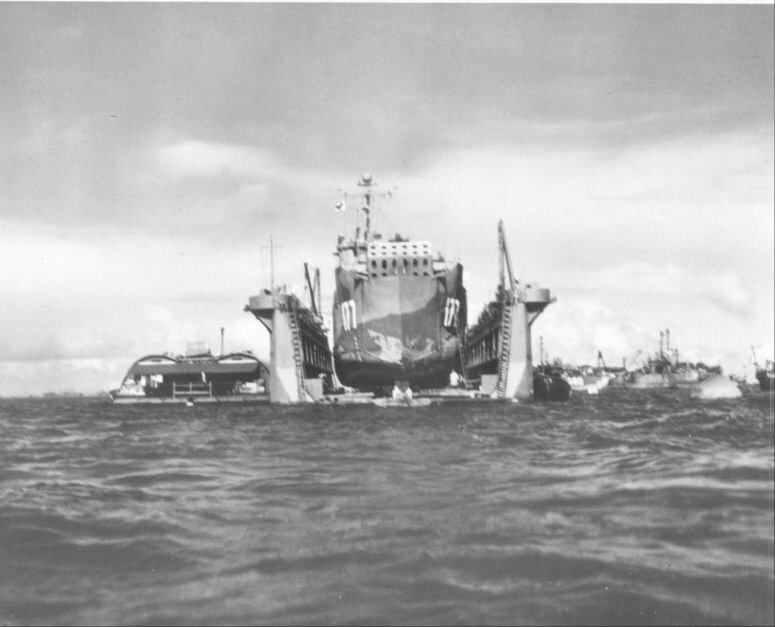 53k USS LSM-177 in a small floating drydock (AFD-type) of Service Squadron Ten at a Pacific base, circa early 1945. 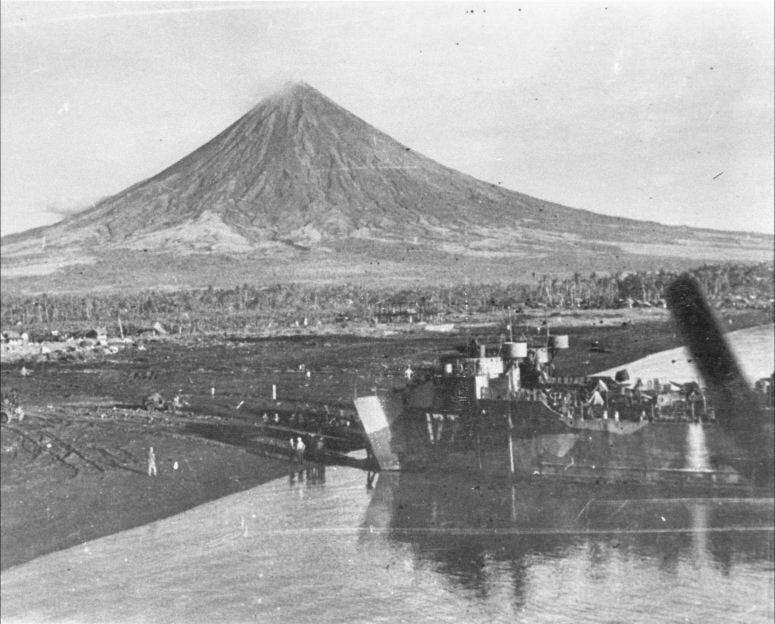 The history extract for USS LSM-177 is from USS LSM-LSMR Amphibious Forces, Vol. II. Paducah, Kentucky: Turner Publishing Company, © 1997. (ISBN 1-56311-389-9). 01 LTjg. 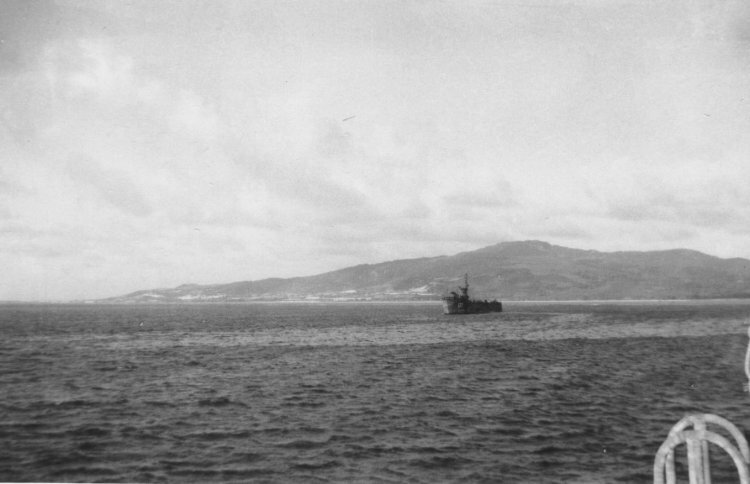 Gettys, Robert H., USNR 30 September 1944 - ?